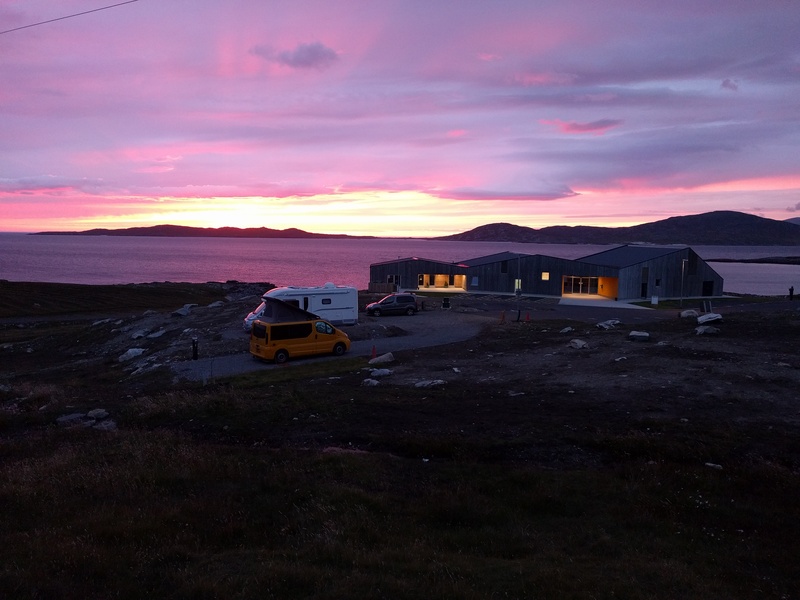 Talla na Mara is a new community owned venue in the heart of West Harris and includes 3 small pitches with electrical hook ups at the edge of the Centre’s landscaped grounds. The pitches are a short walk from Niseaboist beach and Macleod’s standing stone with stunning views across the Sound of Taransay. We only accept motorhomes & caravans (max 7.5 metres). Please or call 01859 503901 (during office hours Mon-Fri 9am-5pm). Located on the A859 12 miles south of Tarbert and 10 miles north of Leverburgh Pier.